The four Pakistani soldiers were killed in retaliation on the Line of Control in Poonch and Rajouri districts since Thursday. 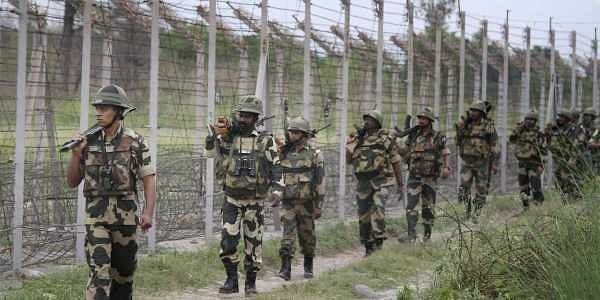 JAMMU: Four Pakistani soldiers were killed and as many Indians were injured, including two army men and two civilians, in border hostilities in Jammu and Kashmir in the last 48 hours. Informed sources said that the four Pakistani soldiers were killed in retaliation on the Line of Control (LoC) in Poonch and Rajouri districts since Thursday. "The Pakistani Army has been using 120mm and 82mm mortars to target defence and civilians facilities. "Two of our soldiers and two civilians were injured during this period in Pakistan shelling and firing," the sources said. At least half a dozen residential structures have been damaged completely or partially in the shelling. Authorities have ordered all schools in the proximity of the LoC in Poonch and Rajouri to be closed till March 5. People remained indoors most of the time in these areas avoiding any movement in fields and other places, the authorities said.